There is currently an issue with picture quality on Camera App version 2016.1130.1. Windows Insiders on certain devices may be seeing that their pictures are slightly blue or dark. We’ve already fixed the issue, and will be flighting an update to Insiders soon. In the meantime, there is a workaround for this issue. To ensure normal picture quality, toggle the manual mode of the Camera on. 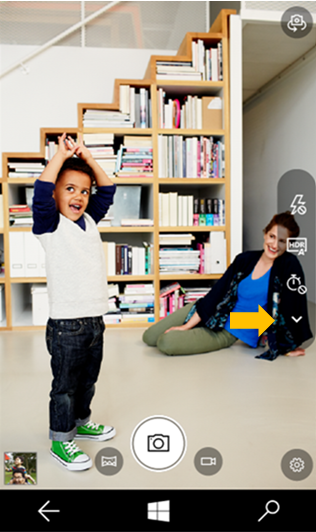 To launch manual mode, select the arrow icon on your viewfinder and switch to manual mode. We apologize for the inconvenience, and thanks for reporting this issue to us.